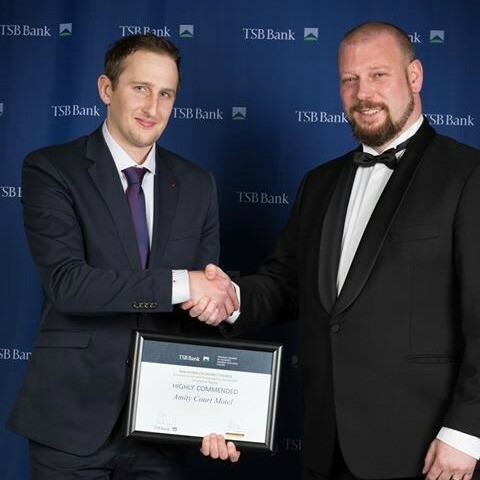 In 2016 Amity Court Motel pulled back the curtains and opened the books for the TSB Business Excellence Awards. After months of preparation, interviews and hard work, the award night finally arrived. Jason attended with business owners, David & Sue, while Kate, who was heavily pregnant, watched the motel and children. We were absolutely thrilled to take home the Highly commended for the Visitor Industry as well as the Environmental & Sustainability Awareness award. 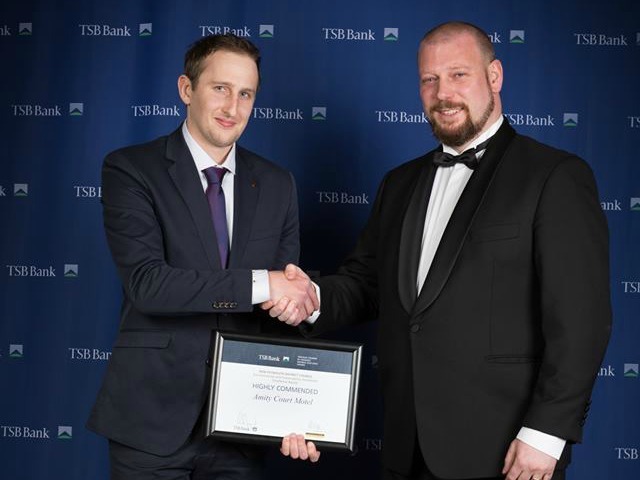 It was brilliant to see Jason’s new initiatives around environmental sustainability recognised. It was even more of a thrill when Amity Court Motel was announced as the Small Business Excellence Award winner. This is a prestigious award that Jason and Kate value highly. We were pipped at the post for the overall Supreme Business award and received fantastic feedback and praise from all the judges and took away lots of valuable learning.